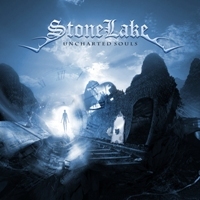 Even though you very well could label StoneLake as a melodic metal band they play a very unique style of that category. The songs are quite good but never ever sappy and the guitars are very upfront. And then we have the sound; It’s crystal clear, crisp, heavy and very crunchy. StoneLake really knows how to write catchy, yet crunchy guitar riffs, that’s for sure and when the CD is done you press play again just to enjoy the riffs one more time. So who likes it polished won’t get warm with the Swedes, but who likes crunchy and honest melodic metal should love “Uncharted Souls”. hear what they can come up with on their next album.